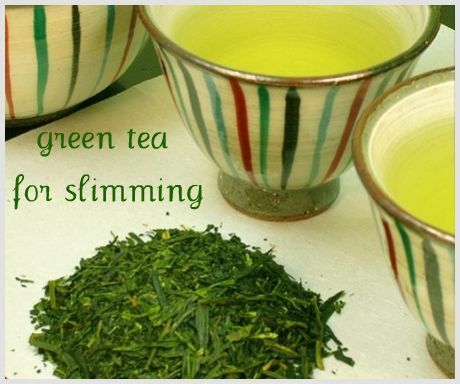 Drinking green tea promotes slimming? It looks like my slimming down over these few months could have been a result of drinking green tea almost every other day. I had initially thought that my weight loss was due to eating pineapples but it may not be entirely due to that. Many of you are probably aware that green tea is particularly rich in a type of polyphenols called catechins and it isÂ these catechins that researchers say may trigger weight loss by stimulating the body to burn calories and decreasing body fat. According to the Amercian Society for Clinical Nutrition, drinking green tea can increase calories burned through fat breakdown. green tea has thermogenic properties and promotes fat oxidation…The green tea extract may play a role in the control of body composition via sympathetic activation of thermogenesis, fat oxidation, or both. Actually I drink green tea for the antioxidant benefits and I had only realized the potential for slimming after Leon of Beauty Secrets Revealed sounded me up because it had an effect for her.Â Maybe the green tea plus the pineapples had caused me toÂ lose weight so rapidly over the past few months? ParisB: I read somewhere that there could be some benefits…but I’m not into coffee so I’ve never paid much attention. Coffee gives me instant headaches! Green tea is not only good for slimming but also good for the heart. I’m not sure if green tea really helps weight loss. I started drinking green tea for a couple of months. Started exercising about twice a week for a month. I don’t monitor my weight, so I don’t know for sure but people tell me that I look slimmer now. ypf7717: It might have marginal effects on some. I hadn’t thought about it in terms of slimming when I started drinking it consistently. Green Tea absolutley helps with weight loss. I drink 3-5 cups a day. And my tummy has flattened out so much! Of course I try to exercise too, but the green tea has helped a lot! All my pants fit me huge now! Congratulations! How much have you lost? Do you feel well? Soos: I was 52kg. Then I noticed that when I ate pineapples, my weight dropped quite a bit and it’s now about 46kg the last I weighed. I thought it was the pineapples but I’ve been drinking green tea consistently too. As a whole I feel well and my tummy – for the first time – has flattened! I have a friend who swears by drinking green tea with dried hawthorn, apparently it gives a nice tinge of sour taste. Reese: I love green tea for the health benefits more than slimming really. Sour? Haven’t thought of green tea that way. Reese: Oh okay, the addition of Hawthorn. I missed that out earlier…rushing for lunch! I like Hawthorn but can’t think of adding them to my green tea! How long did you eat pineapples and drink green tea for to see the effects? ypf7717: I noticed in about 3 months. But I ate a lot of pineapples daily. A side effect I noticed later was backache so I’ve cut down on the intake of pineapples. wow! You’ve lost weight because of that? Well all I know is, I’ve lived and worked in China for 3yrs, I’ve seen people downing on rice ..bowls and bowls of rice and noodles and they’re so slim! Nikki: It might. I can’t say it definitely. But research has shown the effects and Leon has also lost weight because of drinking it. Wow, I am impressed by your pineapple post. Unfortunately, the fruit is a bit tart for me to eat everyday. I love green tea, though. I’ve done some research on green tea being a weight-loss aid. Reaching for a cup now! astrorainfall: I’ve heard the same comments about pineapples from others too. Well, try the green tea. If it doesn’t help you lose weight, at least you can benefit from the antioxidant effects. Does different type of pineapples matter? I like the sweet ones. But there’s another type that sorta cuts my tongue a lot. I noticed that your pineapple post is the not so nice type. ypf7717: Geez…I don’t know that there are different types of pineapples! This one is honey pineapple if I’m not wrong. My husband is the one who buys so I’m not too sure. But it doesn’t cut my tongue even though I don’t add salt. damn. it must be the combo of green tea and pineapple!!! prettybeautiful: Maybe…I guess it also depends on individual. I noticed that food doesn’t have an effect for you cos I remember you told me that you eat lots of fruits but you don’t see a difference to your skin too. I always drink green tea or soba tea during dinner time.Even my kids also, they love tea especially soba cha (in japanese).If you can find soba cha in singapore, u give it a try, very nice tea with soba taste.I don’t buy my teas in SG coz I go back to Japan every year & so I usually stock up my tea :)In my fridge I usually have 2 bottles of tea call mugicha(roasted barley tea).This tea is very nice when drink cold & is also very good for health. Florence: Soba cha? Must try to check it out. I’m sure the variety from Japan is well more superior. Wow! That’s so cool! Any particular brand to recommend? I like green tea too. But it keeps me awake for hours. Never tried drinking it during the day though. How many cups do you drink a day? Ah. I’m another of those sweet pineapple people. low tolerance to the tarty ones. Might try just the tea though. Anyone know any good brands in Malaysia? Nikki: I drink those in tea bags by the brand OSK (green box). At least one cup every other day. Hi nikki, u so cute…because I feel thatif buy good japanese green tea from SG is very expensive.And so I usually stock up whenever I go back, cheaper a lot:)How come you drink green tea will keep u awake?Singapore food now keep on increasing……. Green tea aids in eliminating oil from food but too much is not too good for ladies. Too “cooling” for the body. So try not to drink it daily? Or may alternate with another drink. vivavoomz: Hey, that’s good advice! I didn’t think of that. Luckily I take it on alternate days. Does it matter if the pineapple is canned in it’s own juice or does it have to be fresh? Elaine: Fresh is the best. Canned stuff comes with preservatives and artificial sweetener. Prettybeautiful: Yeah I do! 😉 I have no idea about the soba cha too. Try looking up those supermarkets that specializes in Japanese food? Pineapples must be fresh. Coz the vitamins will break down once treated in the canning process. ypf7717: Yeah, fresh is the best. green tea is definitely it! It’s my faouvrite and I have green tea everyday after dinner. I’ve been pretty slim and fit and felt it aids in digestion. Have recently discover Korean Green tea with brown rice.And it’s taste even better.. green tea with the nice scent of brown nice, just perfect! hey it helped for me too! i drank green tea regularly when i was on my internship, wasn’t exercising or doing anything in particular, but i dropped about 2 kg over 5 weeks? think it might’ve been the green tea! and i love the green tea with brown rice tea. the smell is just comforting! elleve: Oh great…another testimony about the slimming effects of green tea! Leon: You add lemon and honey? Interesting. Lemon has a slimming effect too isn’t it? wow congrats on the weight loss! I love drinking green tea and used to drink it daily. then i let myself slide and turned to coffee and regular tea. bad choice i know! i’m soglad i read this post because it inspired me to get back into the green tea drinking habit again. i become to overwhelmed when i go shopping though…there are so many “types” of green tea. Sencha green tea, dragonwell, green pekoe, gunpowder, gyokuro…how do you know which is best? Sarah: I am also not very sure which type is good but I pick those from Japanese brands. Sencha is probably not bad? It’s a beverage. 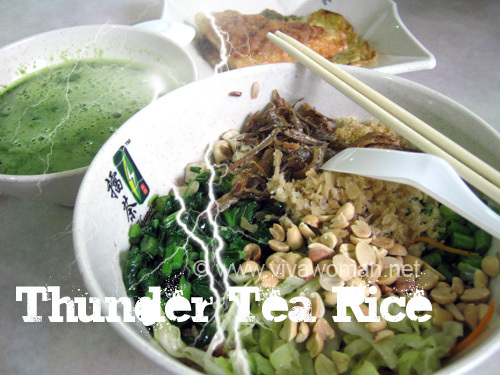 It has green tea with some sprinkle of brown rice and it taste so much better and aromatic than normal one. I ve tried it in one of the korean restuarant in Bugis. I have yet to find it at the Korean supermarket in Singapore! But google and u would even able to buy it online. troubledGal: Oh ok! Thanks for the info! I try to imagine the fragrant – maybe it’s like some real good ocha that I’ve drank at the Japanese restaurants. Must keep an eye for this one! Leon: Hmmm…I’m okay with English tea with lemon and honey but I’ll prefer my green tea plain. I’ve heard of green tea for losing weight but I never heard of pineapples! Just one question, by green tea do you mean all types of green teas? There’s those that are organic and those that ain’t. Hmm. 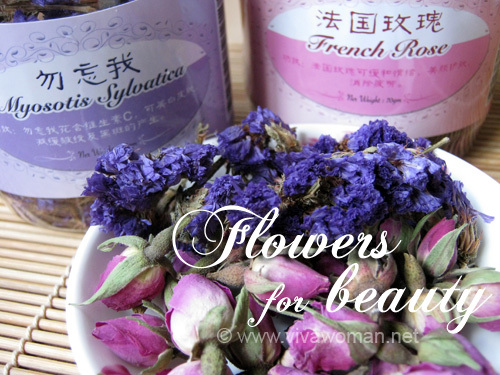 Li Ting: Perhaps the organic ones are purer and have their properties better retained but I have been drinking the normal ones – bought from the supermarket. Tine: Try it. It might work cos some of us have had success drinking it. I can see why Sarah and others would be overwhelmed by the variety of choices when it comes to green tea. I’m not an expert, but it’s my understanding sencha is a better grade, and more expensive. The tea with toasted rice is genmaicha in Japanese – it’s usually inexpensive, easy to find and pleasant in taste. I’m going for a cup of Mate/Lemon Myrtle/green NOW! “Better” is relative. I remember my mother buying sencha as a gift, but not drinking it herself. And a quick Google check shows gyokuro is the best sencha. Price is a consideration for me, too. I do buy quality brand name tea bags (on sale, of course, for easier cleanup when I’m the only one drinking) because you can use them twice! Numi and Tazo are favorites, and they have assortments – I like variety. The guys – son and DH – are happy drinking Yamamoto Yama green tea. Son told me never to buy Ito-en again, as it doesn’t compare to Yamamoto Yama: http://www.yamamotoyama.com/greentea_2.html – and I haven’t tried, but love those biodegradeable pyramid bags! Occasionally, I do like to drink hoji cha, which is roasted green tea. I have not tried soba cha, but it sounds good. I think I tried mugi cha – roasted barley tea – years ago – don’t remember it, so I’d give it another go! This has started a very good discussion – I guess we can talk about tea ENDLESSLY! Has anyone used tea on their EXTERIOR? As in cool, used teabags on puffy eyes? Please tell. Soos: Oh, you’re really into drinking green tea! I should make a trip to the Japanese supermarket and see if I can find some of the brands you’ve mentioned. I don’t pay a lot of attention to green tea brands actually. I do slightly more with English tea. As for using tea on the face, that’s something I want to try. I heard green tea as a face mask is great. Must find sometime to try that. I actually drink more black tea. But I do have a short attention span, so I like a lot of variety. Numi and Tazo also have lots of black tea and herbal variations, which I also enjoy. Soos: I’m quite boring when it comes to food stuff…I don’t vary very much and not very adventurous. But all the discussions about the varieties of green tea are getting me more interested to explore. As I read all your comments, I’m reminded of those rich ocha at some of the Japanese restaurants that I’ve enjoyed. And I’m very amazed that the Japanese actually use green tea or maybe just tea to add to their rice. It looks like an interesting dish though I’m not so sure if I’m keen to taste it. Just started to drink green tea since last week after I drank it during dinner & dance. Like it more for the slimming effect. I’m still a coffee drinker though, but I don’t know why whenever I buy regular tea from outside (foodcourt etc.) I get nauseous!!! Nora: Coffee gives me that nauseous effect. do you exercise other than just drinking green tea and eating pineapple? Deja: No, I don’t exercise. I spend most of my time seated in fact. sigh… I know about the wonderful benefits of green tea… I just really don’t like the taste. Tried so many brands – none tastes nice to me… Perhaps only the one type is ok… with jasmine flowers… but I get allergic to it. BeautyTalk: Oh dear…never realized that one can be allergic to tea…and I guess you just don’t like the taste. The hardest part about losing weight through any program is sticking with it. Like most things in life, you need to have a whole lot of follow-through to be successful. enneiviv: 10 cups a day? Wow that’s excessive! But are you slim? Vyzie: Hmm…that’s interesting. But if it’s happening continously, the drink may not be suitable for you. Did you find yourself losing weight drinking green tea? can i know what brand of green tea do u go for? I go for the supermarket types. As long as they look like they’re from Japan, I don’t mind them. One of the brands I’ve tried is Pokka. does boh’s ice green tea(lime fruit flavour) helps to loss weight??? It might…I’m not certain. But here, I’m referring to those Japanese green tea. And also, even drinking this may not have the same effects across the board for all. ice lemon tea of boh is goodd? 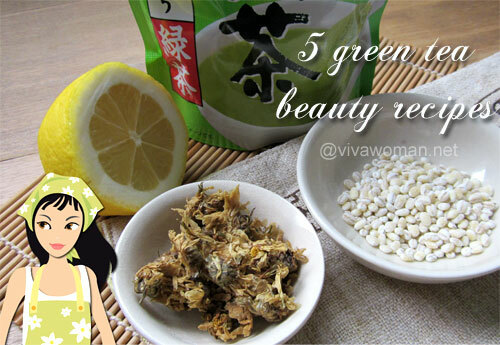 have you tried any of the green tea extracts? I see alot of those appearing in the herb stores. I wonder if they are just as good as drinking the japanese green tea. No, I haven’t. I rather go with the original green tea. I hate tea at first. I don’t really like its taste. But knowing the health benefits i can get, not to mention it can aid in slimming down, i begin to like it. Hmnnn. Enjoy drinking! hi- congrats for losing weight- !!! Different timings cos the two can’t be combined. I used to take pineapples in the morning and had a green tea in the afternoon. Now, I’ve stopped taking pineapples but I still drink my green tea. I ate three meals but I cut down my intake of white rice too and ate more brown rice.